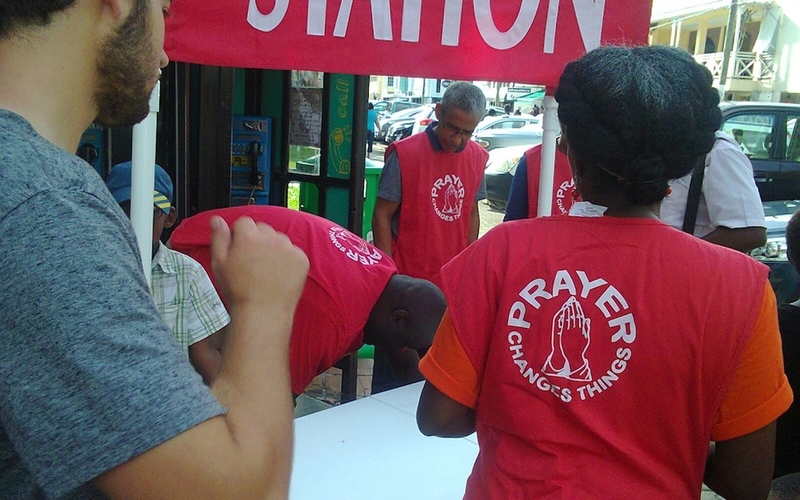 What is The Prayer Station About ? From the Temporal to the Eternal ! We listen a lot and pray. We share an encouragement as the Lord lead us. Our teams are made up of Staff and volunteers who have a passion for people well being. We presently hold about 2 Prayer Stations every month but, our vision is to hold at least one Prayer Station every week . We need short or long term volunteers to help on a regular base. The ministry of Prayer Station is based on the fact that we are providing an opportunity to pray for people who have a variety of needs and believing that God will hear our prayer and act on they behalf of those we pray for. Our prayer of faith then becomes the catalyst to allow God to work in their lives and a starting point to share God's Love.